Chartres, sanctuaire du Monde (CSM) is a not-for-profit public interest association governed by the law of 1901. 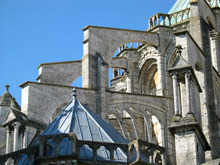 It was set up to work for the long-term future and reputation of the Cathedral of Our Lady of Chartres and to bring about and foster all the individual and collective initiatives likely to contribute to this. CSM works together closely with the region’s historical monuments preservation body in choosing the work to be funded. This exemplary collaboration is the result of a desire shared by the government departments and the volunteers working for the association to collect the maximum amount of resources for the preservation of this sanctuary. Pierre Firmin-Didot was the founder and president of the CSM association from 1993 to 2001, and for decades he devoted himself to preserving and raising the profile of Chartres Cathedral. 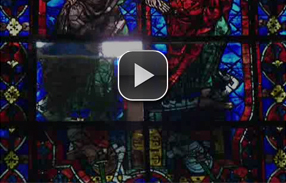 The association brings together various competent figures who believe passionately in raising the profile of Chartres Cathedral, all of who work on a voluntary basis. The rector of the cathedral is an ex-officio member of the association, representing the diocese authorities.